Hemsley said his company did not think the program would form this slowly. (Bloomberg) — The biggest U.S. health insurer should have stayed out of the Patient Protection and Affordable Care Act (PPACA) exchange system longer, UnitedHealth Group Inc.’s chief executive officer said Tuesday, after the company said last month that it will take hundreds of millions of dollars in losses related to the business. UnitedHealth (NYSE:UNH) said on Nov. 19 that it may quit selling coverage in the PPACA individual exchange programs in 2017. UnitedHealth mostly stayed out of the exchange system in 2014. It began selling exchange plans in 2015, before it had a complete picture of 2014 results, and, then, while it was waiting for a complete picture of competitors’ 2014 results, it expanded its 2016 exchange plan offerings. Losses from the plans this year and next will total more than half a billion dollars, the company has said. UnitedHealth said last month that it was scaling back efforts to market coverage to millions of people shopping for insurance through the PPACA exchange system. Other insurers, including competitors Anthem Inc. (NYSE:ANTM) and Aetna Inc. (NYSE:AET), have also either suffered losses in the PPACA exchange system or said they haven’t seen the margins they expected. 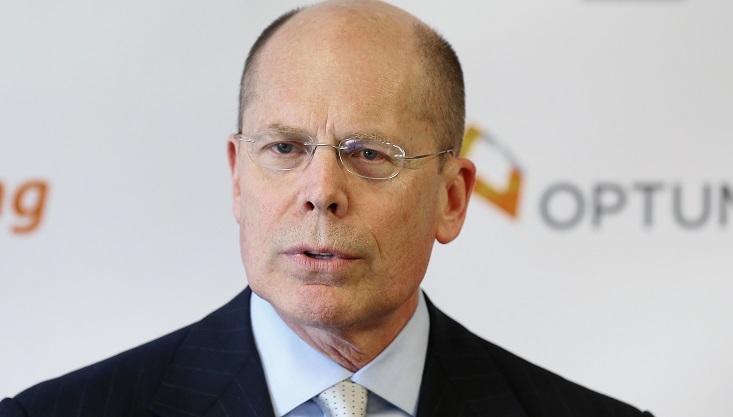 Hemsley said today that the rest of UnitedHealth’s businesses are faring better than its comparatively small exchange operation, which it has said covers about 540,000 people. The company said it expects operating earnings of $13.1 billion to $13.5 billion next year, on revenue of $180 billion to $181 billion. UnitedHealth advanced 1.7 percent to $114.59 at 10:01 a.m. in New York. The stock has gained 11 percent this year, as of Monday’s close. Enrollment at the company’s insurance businesses will climb to 47.4 million to 48.2 million people next year, from 46.2 million at the end of 2015. The company is projecting more enrollees in line of business including Medicare Advantage and Medicaid. Separately, UnitedHealth said its drug-coverage business for the elderly, Medicare Part D, may lose as many as 650,000 customers. Across all of its insurance businesses, UnitedHealth said it expects to spend about 81.5 cents of every dollar it takes in from premiums on medical expenses.